Please check this page for race day logistics updates. Parking: Free and easy local parking is available on the surrounding streets and municipal lots. You may also park in local lots of businesses that are closed on Sundays. 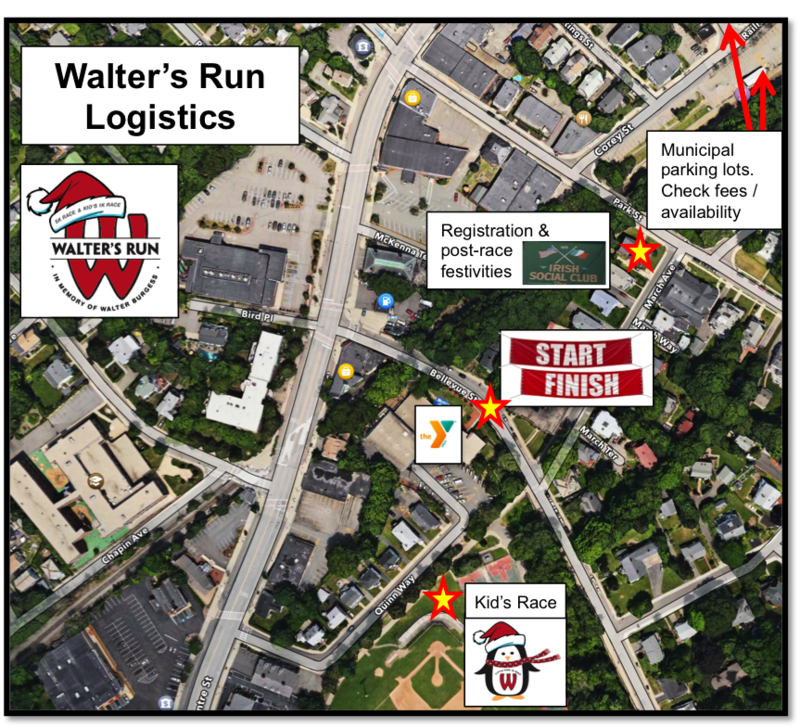 Race day registration: 9:15am – 10:45am on race day at The Irish Social Club 119 Park Street in West Roxbury, just a block from the race start/finish. Little Kid’s Fun Run: Kid’s Race location – Bellevue Street, start time at 10:15am. The Kids’ Race is free but registration is required. Parents – We encourage you to pre-register all kids. Race day registration is at the Irish Social Club. Follow Paulie the Penguin to the race start! 5k Start/Finish: Parkway Community YMCA, Bellevue Street. map it! Raffles: Remember to bring a few $$ to enter our raffles. Raffle sales end at 11am. Silent auction continues until noon. Post Race Festivities: The Irish Social Club 119 Park Street in West Roxbury, just a block from the race start/finish.